Inexpensive furniture may be a godsend of the modern era, but when you start thinking about the damage our collective penny-pinching is doing to the environment — and the American economy — it can get pretty depressing. 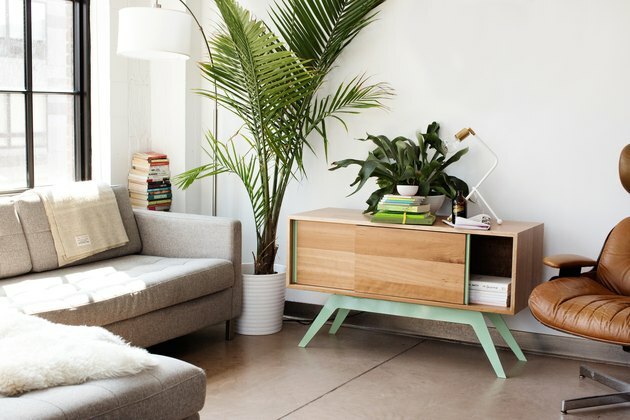 By choosing furniture that has been made in the United States you're supporting ethical, small-scale production practices, growing local manufacturing jobs, and decreasing the environmental cost of shipping your gorgeous new credenza. 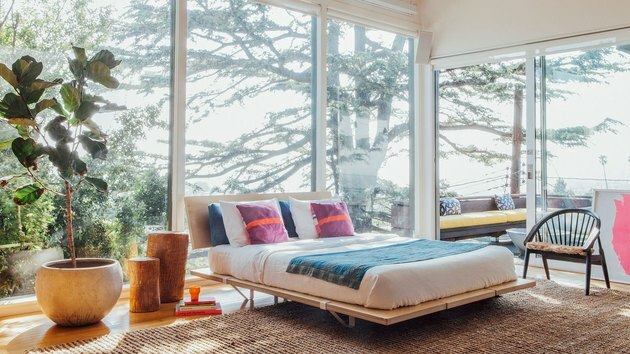 Here are 11 furniture brands that are not only based in the U.S., but are manufacturing their products stateside as well — and the results are stunning. During World War II, Emeco was commissioned to create an industrial style chair that could survive life on a Navy warship, and just like that the 1006 Navy Chair ( from $560 ) was born. Since then, Emeco has continued the proud tradition of manufacturing modern and durable furniture right here in the United States. Floyd ensures perfection in its U.S.-made furniture by limiting their collection to four items (and a smattering of complementary hardware). 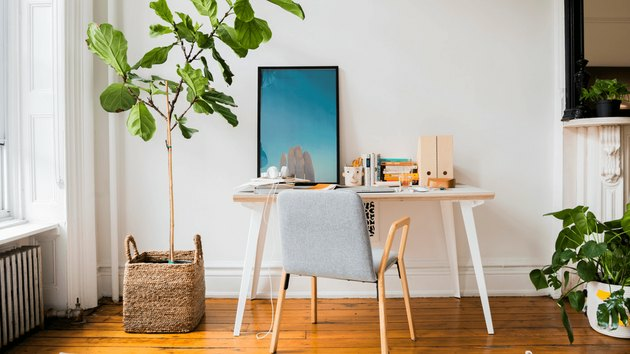 Their streamlined desk — named simply The Floyd Desk ( $460 ) — promises to blend in seamlessly with your Scandinavian minimalist decor. Eastvold Furniture is a small Minnesota-based company that prides itself on creating quality pieces that can be passed down from one generation to another. Made from sustainable materials, you can really see how the simplicity of modern design inspired the collection's aesthetic, as seen with the Elko Credenza ( starting at $1,990 ). American-made furniture goes beyond elegant woodworking. In fact, the country still pumps out some stunning examples of Hollywood Regency decor — which began in the United States — such as this leather Higgins Chesterfield Sofa ( from $1,999 ) by Roger and Chris. 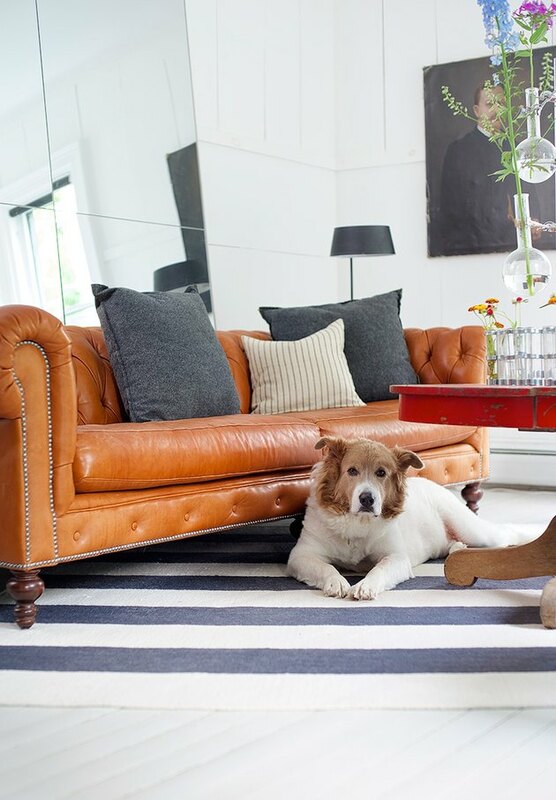 Every piece of their "unboring" upholstered furniture is crafted in North Carolina. Michigan-based Ciseal takes pride in the fact that they make all of their products "by hand and in-house from carefully selected sustainable materials." 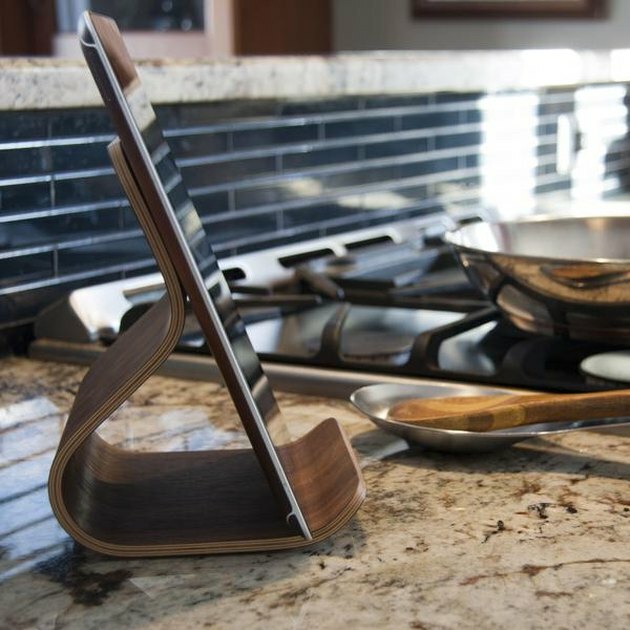 They strive to create timeless pieces that inspire, like the beautifully crafted Ray Tablet Stand ( $85 ). 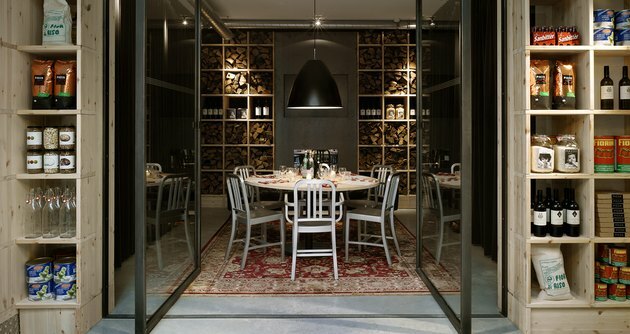 Niche Modern has "made, not manufactured" its modern lighting and accessories collection in Beacon, New York with love since 2011. 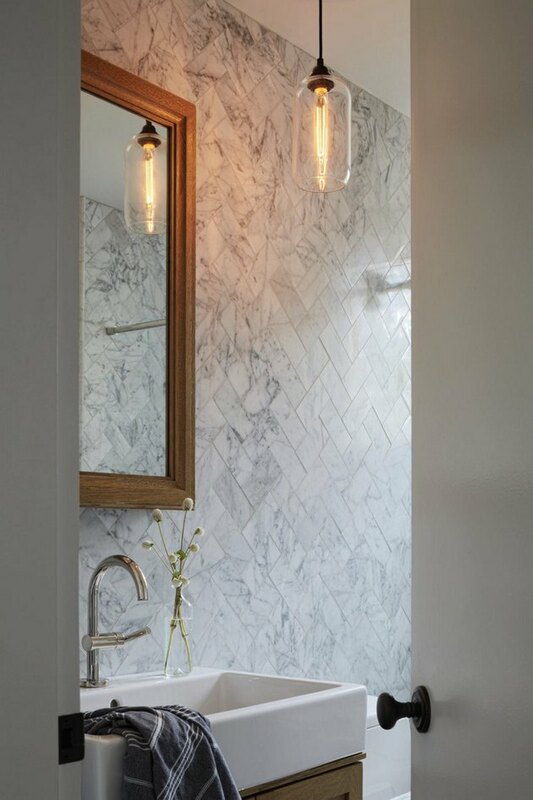 Every single luxurious fixture — like the Helio Pendant ( from $550 ) in this Hudson Valley bath — is handblown in their very own Hot Shop and then polished in their Cold Shop. Since 1969, Lee Industries has promised earth-friendly manufacturing from its four facilities in North Carolina. Their sustainable ethos and commitment to creating high-quality furniture is visible in pieces like the Slipcovered One Arm Sofa. 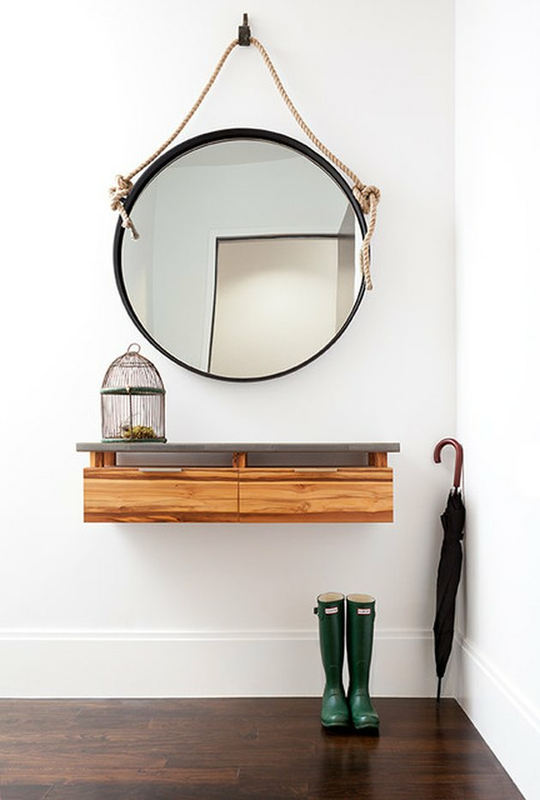 Based in Portland, Oregon, Revolution Design House believes in the "simplicity of modern design" and "crafting meaningful experiences." And the minimalist Haven Lounge Chair is the perfect example of that creative spirit. All of Wüd Furniture's creative pieces are manufactured in a warehouse in Brooklyn. (If you sniff, you can practically smell the artisanal whiskey.) Whatever your furniture dream — like this floating console table made from red gum wood, topped with zinc-encased resin — the company promises it can make it. Hand-printed in the United States, Aimee Wilder's unique wallpaper designs are made-to-order. 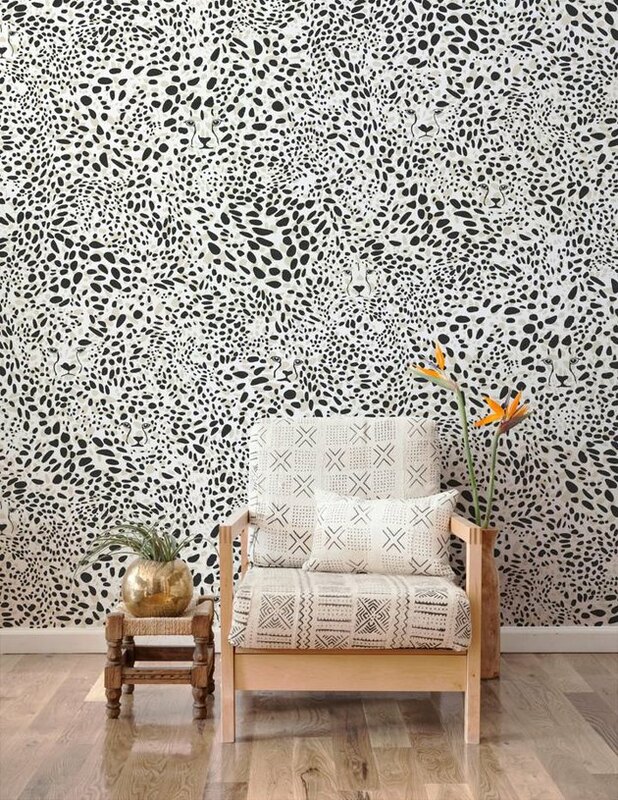 With over 40 fun, edgy, and colorful designs — like the Cheetah Vision print ( $195 per roll ) — to choose from, it's kind of like being a little kid in a candy store. 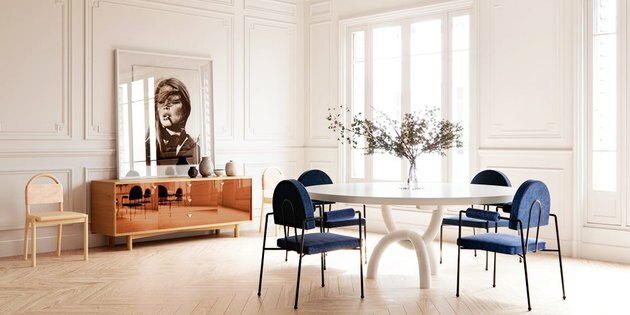 Consort's newly released furniture collection was inspired by French modernism and the words of a stranger found within a leather-bound journal discovered in a Parisian flea market. 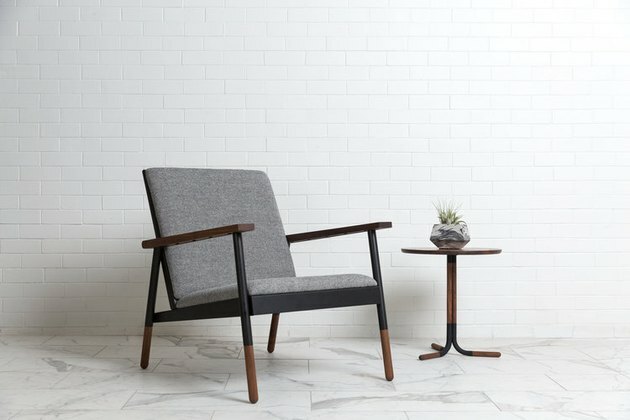 Every piece of furniture designed by the bicoastal, fashion-forward brand — like the Pip Arm Chair ( from $1,300 ) — is handcrafted in the United States.